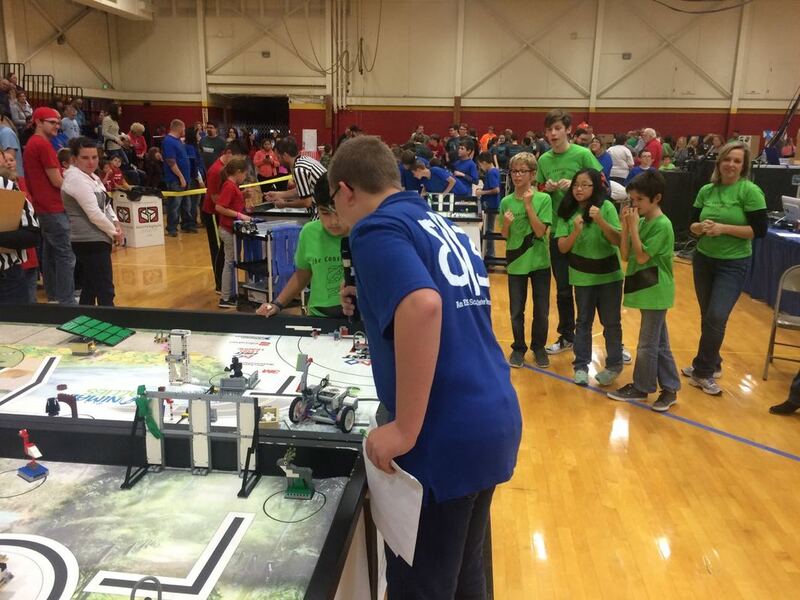 50 FIRST LEGO League teams recently came together to compete in State Qualifying tournaments. 16 FIRST LEGO League Jr. teams also presented at local expos. FIRST LEGO League (ages 10-14) and FIRST LEGO League Jr. (ages 6-10) are two of the four programs of FIRST, For Inspiration and Recognition of Science and Technology. FIRST is trying to inspire kids in grades K-12 to love science and technology and to seek jobs in these high paying fields of work. In August, the new seasons were launched with unique themes. This year’s theme is “Animal Allies” for FIRST LEGO League, and “Creature Craze” for FIRST LEGO League Jr. In both programs, teams focused on animals, their habitats, and the human interaction with them. Students were then challenged to come up with a problem animals face and create an innovative solution to solve it. But FIRST isn’t just about science, it’s about robots too. 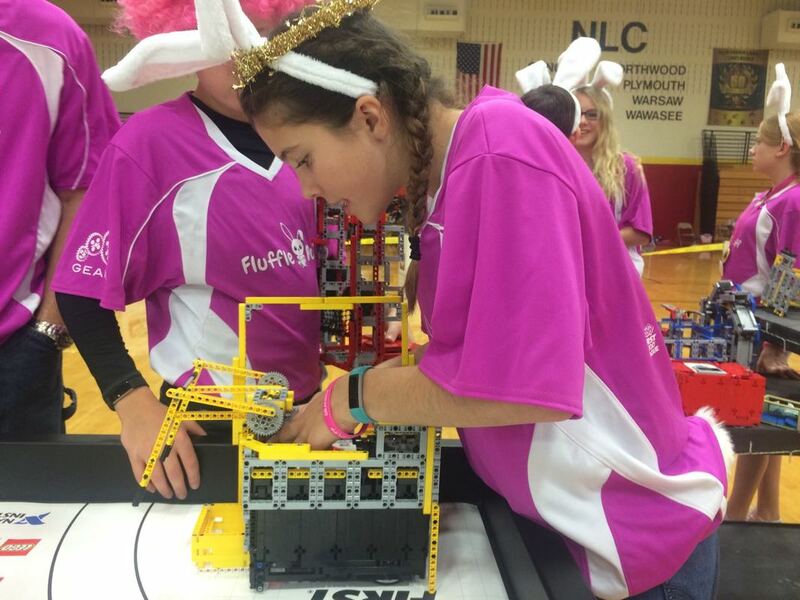 FIRST LEGO League teams created a custom robot made entirely out of LEGO pieces. Then they program them to run autonomously on a 4’x8’ game table. Some of the challenges included transporting a Bee to a Bee Hive, moving a Dog Trainer, Milking Cows, collecting Food to Feed Animals, and if possible, hanging their robot on a wall. Teams run their robots on the table for three 2 1/2 min rounds in which they try to score as many points as possible. Students also learn public speaking and presentation skills and put those to work during three different judging sessions. Robot Design Judging is where teams present about the building and programming of their robot. Core Values Judging is when they talk about how they work as a team and respect each other. Project Presentation is where they share their creative solution in a unique skit-type presentation. FIRST LEGO League season begins in late August. For more information about FIRST, visit www.firstinpsires.org. GEARS, Granger Exploration and Robotics Studio, offers year-round programs in youth robotics. For more information, visit www.gears.org.in. During the robot competition, only two team members can be at the game table while the rest of the team cheers them on. Students create a custom robot out of LEGO pieces to solve missions on a game table.